From the Batman collection by Icon Heroes. Batman DC Heroes Statue - Previews Exclusive. From the Batman collection by Icon Heroes. 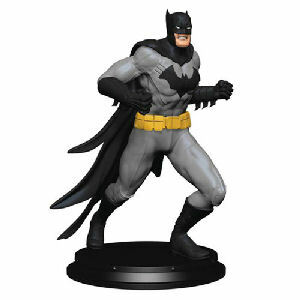 Batman DC Heroes Statue - Previews Exclusive. Made of cold cast resin. Batman stands eight inches tall. Icon Heroes Batman Figurines shipping from Canada. No Surprise Border fees or Customs!